Our roofers can evaluate and repair or replace the roof on your Concord home. A good roofer should be licensed and have the appropriate warranties and insurance needed to work on your home. Many times you will shop around and get surprisingly cheap quotes from some companies, but you should be wary if a company offers you a very low quote compared with another company. Make sure you know the details. You will need to make sure they are fully insured and provide warranties; otherwise, it is not worth the risk of spending less in the short term. Because we have years of experience in roofing, we are able to offer you the best value for your investment. As professional roofers, we can provide you with better quality materials for a better price than if you were to try to buy the materials on your own. We are also very cost effective and efficient. We get the job done quickly, and we do it right the first time. We extensively train each of our team members on safety and are careful in our work. 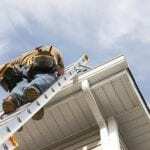 Our roofers can evaluate and repair or replace the roof on your Concord, North Carolina home. At JM Reynolds Builders, LLC, we offer only the highest-quality materials for roofing your home. 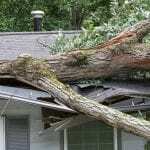 It is important to us that your home is well-protected and that your roof lasts for a long time. Durability is only possible if strong materials are used. We have created a business that allows you to have the best quality for a great price. We focus our business so we can create the best customer service experience possible for each of our clients. At JM Reynolds Builders, LLC, our roofers proudly serve Concord, Kannapolis, Cabarrus County, Charlotte, Salisbury, Mooresville, Huntersville, Granite, Quarry, Davidson, and Paw Creek, North Carolina.